Fox News co-founder Roger Ailes dies at age 77 – Royal Times of Nigeria. 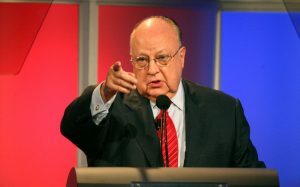 Roger Ailes, who built Fox News into a powerful cable giant that transformed both American television and politics, has died at the age of 77, the network announced Thursday. The Fox co-founder, a consultant to Republican presidents widely credited with leading a revival of the US conservative movement, was ousted from the network last year under the cloud of a series of sexual harassment allegations. The cable network’s hosts struggled to hold back tears as they read a statement from Ailes’ wife Elizabeth announcing his death. A longtime confident of media titan Rupert Murdoch, Ailes was seen as a central figure in the conservative US political movement, who stood down at Fox in July last year after a sexual harassment lawsuit from former news host Gretchen Carlson. There was no immediate indication of the cause of death. Under the leadership of Ailes, Fox became America’s most widely watched cable news channel, home to key conservative political commentators and drawing an audience distinct from rivals CNN and MSNBC. “Today America lost one of its great patriotic warriors,” said Fox News host Sean Hannity, in a tribute to his friend and mentor read out on air.